Apple has just announced the new version of mobile OS at WWDC 2011, the iOS 5. uploaded all iOS 5 firmware ipsw files for iPhone 4, iPhone 3GS, iPod touch 4G, iPod touch 3G, iPad 1, iPad 2 and Apple TV 2G.Now you can download and update iOS 5 on your idevices without developer account . STEP 3: Now open iTunes that you downloaded above and restore using your firmware. 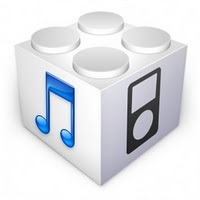 0 Respones to "Download [Direct Links] iOS 5 Beta 2 IPSW On iPhone, iPad and iPod touch"